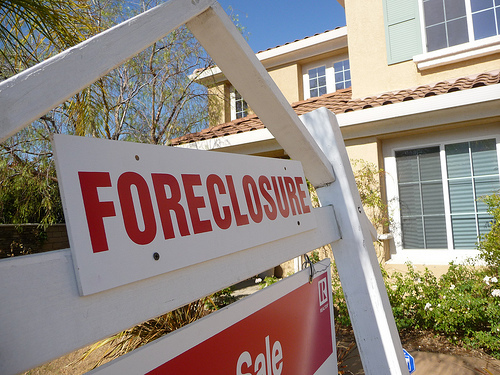 With foreclosures skyrocketing, many people are looking for ways out of their mortgages. Deeds in lieu of foreclosure are often used to avoid foreclosure. They do avoid foreclosure. But do they really benefit you, the homeowner? In many cases, they can leave you and your credit worse off than filing for bankruptcy. Here’s the inside scoop on Deeds in Lieu of Foreclosure.A deed in lieu of foreclosure is when you transfer the title to your house back to the lender through a quitclaim deed. This lets the lender obtain title to the property without having to spend the time and go through the expense of a foreclosure. You can’t do this without the lender’s consent, however, and it can often be difficult to get the lender to agree. This is because if there are second mortgages, tax liens, judgment liens, mechanics’ liens, or other liens or claims against the property, they remain following a deed in lieu, and the lender may have trouble selling the property with these liens outstanding. A foreclosure wipes them out. Many lenders therefore prefer to foreclose and get clean, marketable, title without any unforseen problems. Even if the lender agrees, a deed in lieu doesn’t eliminate your obligations under the mortgage (unless the lender agrees to do this), it merely transfers title from you to the lender. if you do not negotiate otherwise and your state law allows it, you may remain liable for any deficiency that results from the ultimate sale of the property. A deed in lieu will seriously damage your credit, typically to the tune of about 200 points (the same as a foreclosure, and the same as a bankruptcy). Finally, many lenders will issue a 1099-C for any forgiven debt resulting from the deed in lieu. This means that the forgiven debt is considered income, the same as your paycheck. Unless you qualify and file special forms with the IRS and state taxing authorities, you can owe taxes on this forgiven amount. The lender can also agree not to file a 1099-C as part of the negotiations over the deed in lieu. I have negotiated deeds in lieu for many clients over the years. There are circumstances when they are the best option. But be wary–there are many situations where they are far more beneficial for the lender than they are for you. Check with an experienced lawyer who can properly advise you before doing anything.